Sign up to hear about all of our events and giveaways! 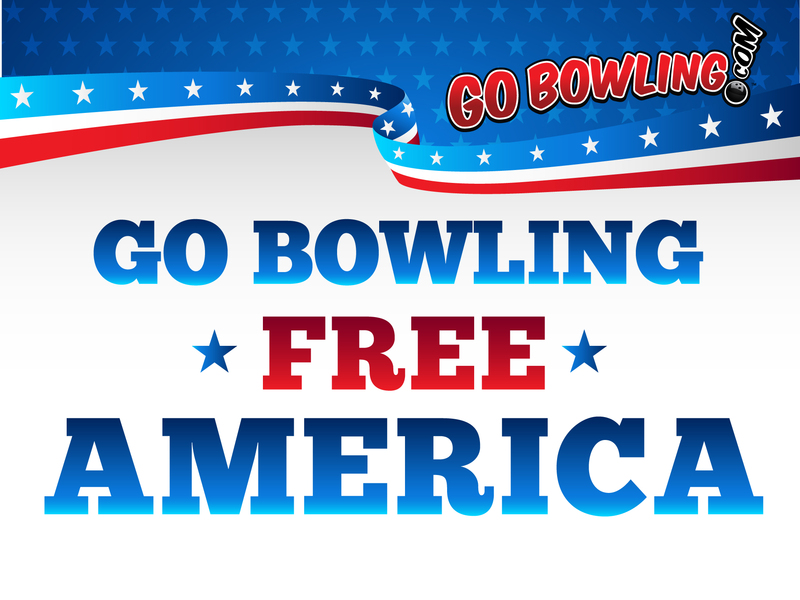 Hey America, we want you to Go Bowling free!! Go Bowling is proud to sponsor the PBA Tour in 2019. This year, we have 30 televised events featuring the worlds best bowlers. If a PBA bowler bowls a 300 game on any televised event on Fox or FS1 during the 2019 PBA Tour Schedule, Go Bowling will reward everyone who registers in America for a Free Game of Bowling. All you have to do is register above. When one of our PBA Professional Bowlers bowls a 300 on TV, we’ll send you a Free Bowling Game coupon. Promotion subject to Terms and Conditions below. Terms and Conditions: Value of one free game up to $6.00. Coupon valid for one free game of bowling and has no cash redemption value. Limit one free game of bowling per person, per coupon, per day. Valid daily from January 1, to December 31, 2019 between the hours of 8:30am and 5:30pm (holidays excluded) at participating bowling centers, when lanes are available and unreserved. Coupons presented at any other times are subject to refusal. Not valid during league play or immediately prior to league or tournament play. Not valid for shoe rental or concessions, and not to be combined with any other bowling offer. To locate participating centers, visit: www.gobowling.com. No age restrictions apply. Offer good in the 50 U.S. states and D.C., its territories and military addresses only. Void where taxed, prohibited or otherwise restricted. This promotion is managed by GoBowling. Participation in this promotion is subject to the official rules.